Meet Rusty Reed our Feed Production Manager. 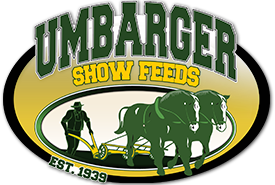 Rusty joined the Umbarger team in 1996 working on the feed production night shift. 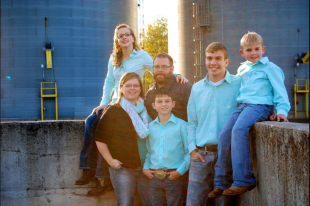 After he graduated from Whiteland Community High School, Rusty began working full-time in the Feed Production Division spending time learning all aspects of feed production and was eventually promoted to his current position of Feed Production Manager. His duties include management of the Umbarger feed production, quality control and warehouse oversight. Rusty has been very involved in agriculture and was an active member of FFA. He was also a 10-year member of 4-H and showed dairy cows. Rusty brings a love of agriculture and a can do attitude to the Umbarger Show Feeds team. Rusty and his wife, Erin, live in Bargersville and are the parents of 4 children. In his spare time, Rusty is involved in many school activities and after school sports activities.